Much of the dynamic of the Social Age relates to fundamental shifts in power: broadly, this is a flow away from formally organised systems, with codified power, into socially moderated systems, with reputation based, and networked, power. We will still have formal systems, and formal power, but the reach of both is diminished, and their ability to apply consequence is increasingly limited. Let me share a few examples. Historically, organisations managed change through restructuring, with a recognition that some good people will leave early, but the baseline assumption was that the community was there to be reshaped as desired: fear of redundancy or rejection kept people glued into the system. 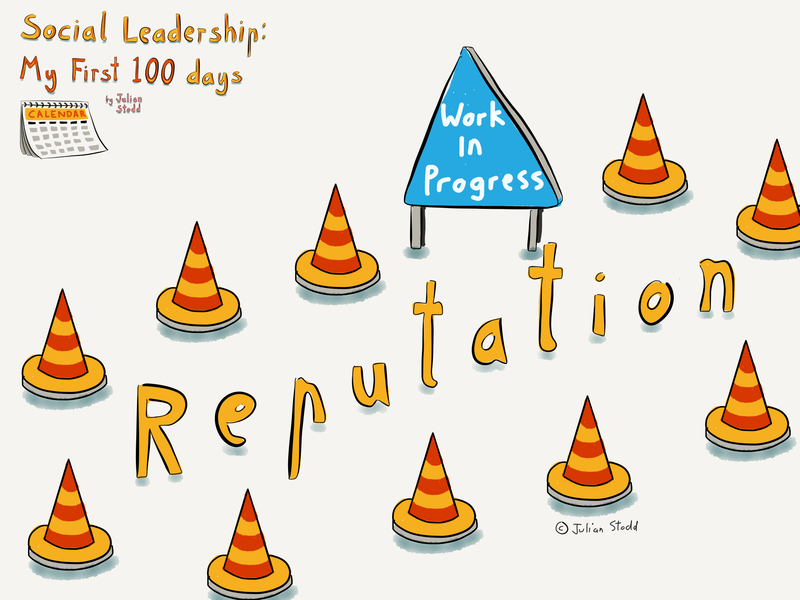 Today, there is lower expectation of the permanency of a job, and more of a recognition that organisational loyalty is well intentioned, but often fictional. Not only do people move more, but social consequence, and damaged pride, are less of a factor than they were. With a more mobile workforce, getting short term engagement may be ok, but it can be increasingly hard to get the type of mid term engagement we need for change, without more actively earning it. As another example, organisations used to own the notion of ‘career’: in return for conformity and compliance, small portions of development, and incremental steps us the ladder, were granted magnanimously. Today, learning is more democratised, increasingly accessed either socially, or externally, the ‘career’ structure has evaporated, and the strength of your community becomes more a factor in success than your seniority alone. Reputation probably trumps role in most cases: indeed, it’s hard to be effective with a poor reputation, in a Socially Dynamic organisation. More widely, we see other types of power undergoing foundational shifts: communication has slipped the bonds of production and broadcast, moving into a new space of democratised creation, and socially moderated amplification. Effectively, we have moved into a frictionless, or at least lower friction, space, where amplification is not closely tied to mass. The quality, not quantity, of your connections will impact likelihood of your message spreading. 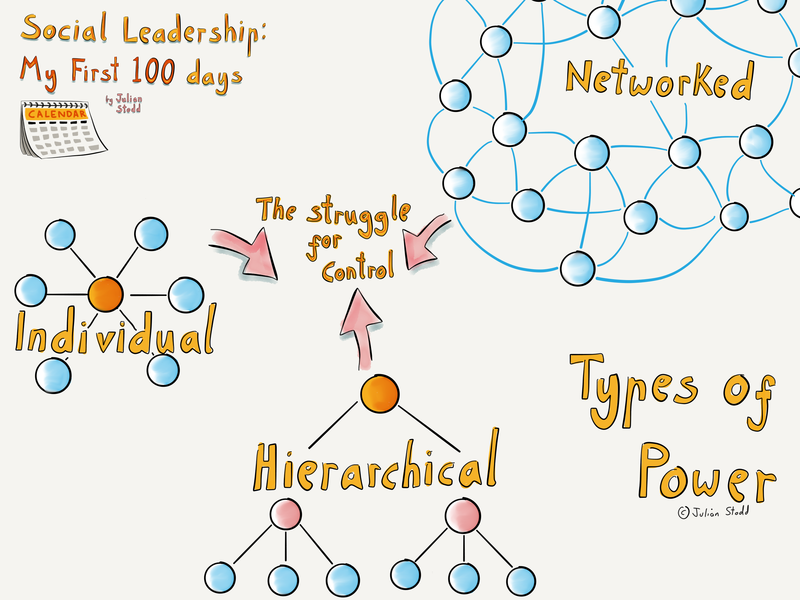 This system favours the authentic individual over the connected organisation. It favours reputation over formal role. Other shifts in power abound: sites such as glassdoors.com exist to hold, independently of any organisational control, a crowdsourced assessment of ‘what it is like to work here’. These aggregated, socially moderated, sites, are particularly symptomatic of the new, distributed, power: it cannot easily be gamed, adjusted, or influenced. Indeed, when an HR Director recently asked me how he could influence their score, i could only share the most unhelpful answer: ‘make every part of your organisation better, fairer’. And yet, crass as my answer may appear, it’s true: the reputation of an organisation is earned through it’s actions at scale. So we must often do better. These shifts in power are just one part of the evolved ecosystem: it’s still perfectly feasible for Organisations to thrive, but to do so, they will need to build new strengths, and if they fail to do so, they will be punished. But alongside these adapting or failing organisations, will be emergent new ones, who may be fully optimised, drawing upon a different strength, more agile by design, not simply through effort. Our challenge is to, firstly, understand the change, and, secondly, create sense making spaces, to figure out what to do about it. Power is complicated: we are seeing shifts in individual power, in collaborative, community held, power, and in organisational power itself. Not incidental, inconsequential shifts: functional and foundational ones. And, at some level, it’s all about power. As formal power is balanced out by emergent, socially moderated power, our salvation will lie in building both: one held within our systems and hierarchy, and one held in trust by our community. This entry was posted in Culture and tagged Agility, Change, Leadership, Power, Social Age, Social Leadership. Bookmark the permalink.